While multiple offers are certainly enviable for listing agents, they also increase the risk of a real estate lawsuit when certain steps, procedures, and laws are not followed. An agent with multiple offers on a listing should take time to strategize with the seller about options for proceeding, and review the pros and cons associated with each option. The listing agent then must follow the seller’s lawful instructions for the handling of the multiple offers. This is not only a matter of the listing agent’s fiduciary duty to the seller but also an important means of risk management. There is no contract until the latter of the two parties signs the agreement without making a material change to it, and either delivers the document to the other party or his agent, or notifies the other party or his agent of the acceptance. Delivery occurs when the party or the party’s agent is notified of the acceptance, unless the contract terms specify otherwise. Given that offers to purchase may be generated by the buyer’s agent, listing agents and sellers need to carefully review the offer terms relating to acceptance if the standard form used is not familiar. A buyer’s agent likewise must be sure that the buyer understands that there is no contract until the agreement is fully executed. Agents should not tell a buyer, “We have a deal,” until the documents are signed by all parties. If the seller receives a more favorable offer in the interim, that other offer may be accepted. Standard of Practice of the REALTOR® Code of Ethics states that the existence of offers should only be disclosed with the seller’s consent. The seller alone determines whether one or more of the prospective buyers will be informed that there are multiple offers. Sellers who elect to disclose multiple offers risk that a buyer will walk away from a possible bidding war. 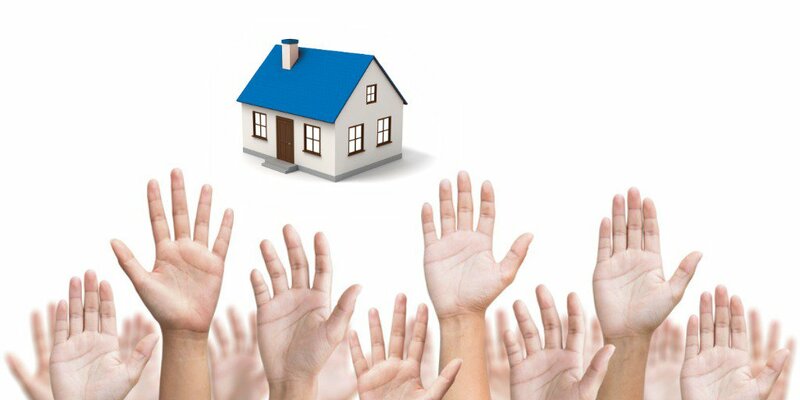 Alternatively, sellers may elect to leverage the existence of multiple offers to get the best price and terms. Buyers frequently believe that they are entitled to notification that they are in a multiple offer situation. This is not true. A prudent buyer’s agent will make certain that a buyer understands that multiple offers need not be disclosed by the seller or listing agent. Offers may be rejected verbally. However, the best practice is to indicate in writing on the offer itself that it has been, “Reviewed and respectfully rejected.” This notation should include the seller’s signature and the date. This confirms not only that the offer was rejected, but also that the offer was actually presented. It is particularly advisable to confirm the presentation and rejection in writing if the amount of the offer is at or in excess of the listing price. Oftentimes, buyers do not understand when their full price offer is rejected and sometimes suspect that their offer was not presented. Real estate professionals who themselves indicate a client’s offer or acceptance via email, or who forward a communication from their client evidencing terms of an offer or acceptance may unwittingly bind their client to a real estate purchase or lease agreement. While it is still the conventional practice to have an original document executed by the parties, courts nationwide are now considering electronic agreements to have the same legal effect. In that regard, agents must exercise caution in conveying information about an acceptance, counteroffer or rejection to the other agent or party in the transaction. For example, if a listing agent sends an email to the buyer’s agent saying, “My seller accepts your offer,” it is arguable that the listing agent will be deemed to have acted on behalf of his principal, and that the agent’s action is binding upon the principal. Agents similarly should use care in relaying emails from clients to the other party or their agent. If the seller tells her agent in an email containing her signature that, “The offer is acceptable and I will sign the paperwork upon my return from vacation,” and the agent forwards the seller’s email to the buyer’s agent or to the buyer, the seller’s email may be deemed to create a binding agreement. Given that the email from the seller conveys her acceptance of the offer terms, and the seller signs the agreement electronically, it is arguably an acceptable contract under the Statute of Frauds. The seller may find herself compelled to sell based on her agent’s action. This may become a sticky legal issue for the listing agent if the seller later claims that the agent was not authorized to forward the acceptance email to the buyer’s agent. Real estate brokers and agents should consider including a standard disclaimer in all email communications clearly stating that the content may not be deemed an offer, counteroffer or acceptance until contract documents are mutually executed between the parties. This is the case for any email communications relaying an offer, counteroffer, terms of a purchase or lease, or any other communications where it is arguable that the communication forms the basis of the terms of an offer, counteroffer or acceptance. If at any point in time, an agent is uncertain about how to advise any client in a multiple offer situation, the agent should promptly seek advice from a management level licensee or counsel to the brokerage. Sometimes talking through the situation and getting a second opinion can help to clarify next steps. The client likewise should be advised in writing to consult with independent legal counsel if he or she has questions about the legal ramifications of how to proceed. In rare circumstances, a buyer may believe that he is entitled to purchase a property even though a binding contract has not been formed. If a buyer threatens to pursue legal action in the event that the seller does not sell to him, an agent should promptly advise the client to consult with an attorney. The agent should also immediately notify his or her broker or management. When you are insured with CRES, you can call CRES ClaimPrevent® Legal Advisory Services seven days a week to get advice, help with forms, or review of communication regarding offers and contracts. A counteroffer constitutes the rejection of the offer. A party cannot extend a counteroffer, have it rejected, and then attempt to accept the original offer. The seller should not counter more than one offer at a time. To do so creates a risk that both buyers will accept, and there will be two binding contracts. A seller is not required to accept a full price offer, and indeed may elect to accept a competing offer for less than the listing price if the terms are more favorable to the seller, e.g., a cash offer with a quick title transfer date as opposed to an offer with a financing contingency. A seller is not obligated to give the first prospective buyer an opportunity to increase her offer before accepting a second offer. Agents should use the words “offer” versus “contract” with precision so as not to create any misunderstanding. A buyer writes an offer on a property, not a contract. There is no contract until acceptance and delivery. The greatest tool any real estate agent has in reducing the risk of a real estate lawsuit is knowledge. That means understanding all aspects of a sale, ensuring your client also understands all pertinent aspects of the sale, and obtaining legal advice when you are in doubt. Even though offers and counteroffers can happen fast, it is imperative to slow down and ensure that nothing is left to chance. Cynthia Lammert co-chairs Reminger Co. LPA’s Real Estate Practice Group and focuses her practice on real estate defense litigation. Before joining the firm, she was Vice-President and General Counsel of Howard Hanna Smythe Cramer, where she also served on the Executive Committee and as corporate secretary. Cindy represents commercial and residential real estate brokerages of all sizes throughout Ohio. She also works with title and escrow agents, title insurance companies, appraisers, and builders. She has extensive transactional experience and regularly defends Ohio Division of Real Estate and the Ohio Civil Rights Commission matters. Her experience in real estate brokerage counseling includes compliance and audit assistance, management and agent training, and preparation of brokerage policies and transactional documents. She is a frequent lecturer on risk management and real estate law topics, including for the Ohio Association of REALTORS®, the Graduate REALTORS® Institute, and the Northern Ohio Regional Listing Service. Cindy is a member of the Board of Directors of the Reminger Foundation, and is a 2014 Co-Chair of the Cleveland Metropolitan Bar Association’s 36th Annual Real Estate Law Institute. She has been named a Super Lawyer by Thompson Reuters and is AV Pre-Eminent Peer Review rated by Martindale Hubbell.